The complex and collaborative work of early childhood practitioners (e.g., educators, speech and language pathologists, occupational therapists, social workers) and families requires effective implementation of evidence-based practices. Effective implementation of early childhood practices can be hindered by deeply held assumptions practitioners relate to their own capacity, the capacity and culture of families, and the needs and capacity of the child at the core of their collective work. Transformative learning theory offers a helpful lens to support practitioners in recognizing and shifting assumptions or perspectives hindering their work through reflective discourse strategies. 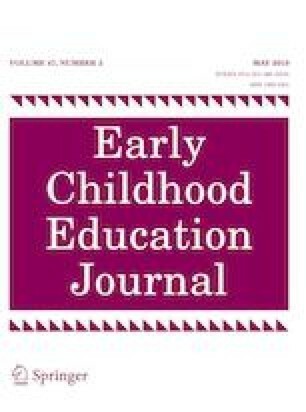 This article explores potential practitioner assumptions and provides guidance on how reflective discourse may facilitate a transformation in practitioners’ assumptions to more successfully implement evidence-based practices, such as those outlined by the Council for Exceptional Children’s Division on Early Childhood. Division for Early Childhood. (2014). DEC recommended practices in early intervention/early childhood special education 2014. Retrieved from http://www.dec-sped.org/dec-recommended-practices. Accessed 1 Mar 2019.